My goal here is not to offend. Neither is it to persuade. In matters of the spirit, there is but One capable of opening the eyes of the heart. Rather, my objective is to sow seeds of Truth so that the Holy Spirit might, according to His perfect pleasure, purpose and will, cultivate the soul as He deems just. We Christ followers are admonished to love our enemies and to pray for those who persecute us (see Matthew 5:44). This obliges us to at once love and pray for, among other antichrist subsets, the 1.2 billion Muslims worldwide, including the hundreds-of-millions who faithfully embrace Muhammad’s myriad commands to violence against the Christian, the Jew and all other non-Muslims. It is impossible to do this in our flesh and can only be accomplished through the supernatural grace and power of the Holy Spirit. It is, indeed, our great hope and prayer that every Muslim – every human being – might surrender self and come to the saving knowledge and grace of Christ Jesus, who, alone, is “the way and the truth and the life.” For, “No one comes to the Father except through [Him]” (see John 14:6). To be sure, it is the express desire of both God the Father and Christ His Son that each and every Muslim on earth should abandon Muhammad’s broad path to perdition, turnabout and move toward Christ’s narrow path to eternal life. “The Lord is not slow in keeping his promise, as some understand slowness. Instead he is patient with you, not wanting anyone to perish, but everyone to come to repentance” (2 Peter 3:9). God both created and loves, in a way incomprehensible to the finite human mind, every human being ever born, or otherwise. He wove us together in our mother’s wombs and numbered our every hair. Yet God the Father has but one begotten Son. The rest of us, in order to become God’s children, must be adopted and grafted into the vine by, in and through the One who is the Son – He who is the Vine: Christ Jesus (see John 15:5). And so the Muslim is not a child of God. Indeed, to become a child of God, we must ask God, through Christ, to adopt us. We mustn’t just believe upon Him – for “Even the demons believe that” (see James 2:19) – but, rather, we must also receive Him as Lord and Savior. We must follow Jesus, the one true God, as our only God. “But to all who believed him [Jesus] and accepted him, he gave the right to become children of God” (John 1:12). The pluralist notion that, “There are many paths to God,” is an insidious lie spread by the father of lies himself. Jesus said, “Enter through the narrow gate. For wide is the gate and broad is the road that leads to destruction, and many enter through it” (Matthew 7:13). To embrace pluralism is to embrace certain death. The aim of pluralist philosophy is to muddy the waters and divert mankind from the “narrow gate” that leads to eternal salvation (Jesus), while, at one go, herding us along the “broad road” to eternal damnation (anything and everything that denies the singular and exclusive deity of Christ, or that rejects the certainty that He alone can save us from hell). Pluralism is a non-starter. It is inherently self-contradictory and, therefore, self-defeating. Each of the world’s major religions fundamentally contradicts the other. They cannot all be true. Either one is true or none is true. Pick your “ism,” be it Muhammadism, Hinduism, Buddhism, humanism, atheism, et al., and, serving to undo each, you will find the leavening lie of pluralism. Not only do Muslims reject Christ, the Son of God, but those who are faithful to the teachings of their “prophet” Muhammad persecute, under flame and sword, His very body: the Christian faithful. 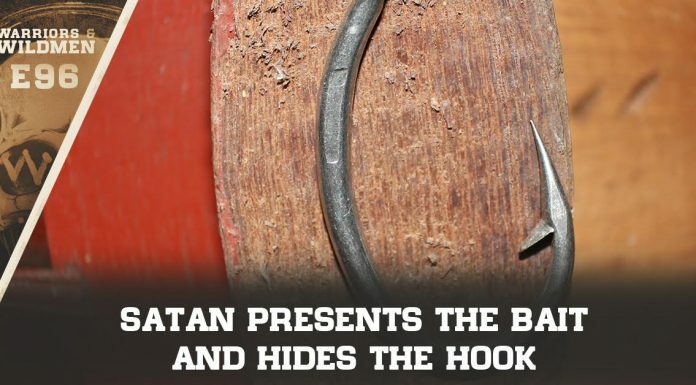 It’s worth again mentioning here that the Bible similarly calls Satan a deceiver. Revelation 12:9, for instance, explains that he “deceives the whole world.” Even though it is often claimed that Muslims, Christians and Jews “worship the same God,” this is so very much not so. Allah is not God. Allah is the deceiver, and, insofar as Christianity, true Christianity, spreads peace, love and truth – Islam, true Islam, spreads violence, hate and deception. Allah definitely exists. He’s just not God. Though he wanted to “ascend above the tops of the clouds” and “make [himself] like the Most High” (see Isaiah 14:14), Allah, most assuredly, is not God. Indeed, the “best of deceivers” cares not whether we worship the idol of self, as do the secular-”progressives,” the deceiver himself, as do the Muslims, or some other false god. The deceptive one cares only that we deny God the Father, Christ His Son and the Holy Spirit, three in one. The die was cast before time began. Every Christian, Jew, atheist and pagan, to include each and every Muslim on earth – or, like Muhammad, who once walked the earth – will, in the end, bow a knee in worship to Jesus. Because “in the end” is just the beginning. Yet, whether you bow first in this life, or first in the next, you will bow. And the when and how will mean much. For it will decide the where and how of your eternity. Share if you agree every Muslim — and every person — will bow before Jesus Christ.